Valet Parking available Thursday through Saturday for dinner service starting at 6pm. 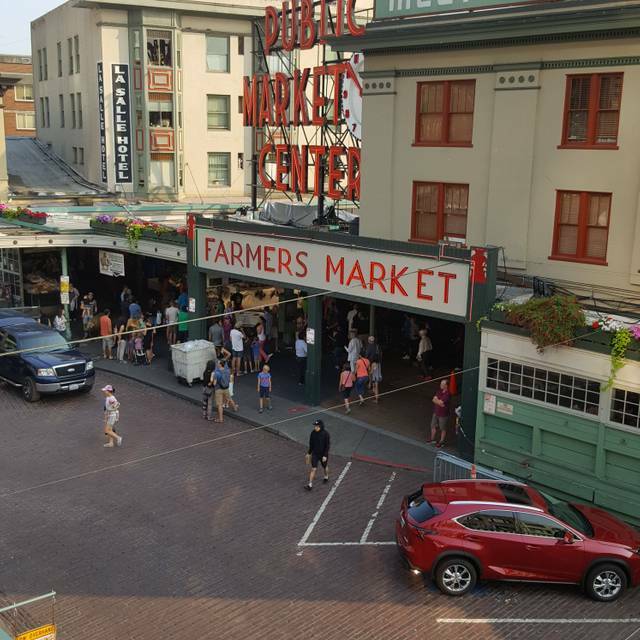 Located in Seattle�s Pike Place Market, Matt�s in the Market offers fresh, elegant American cuisine. 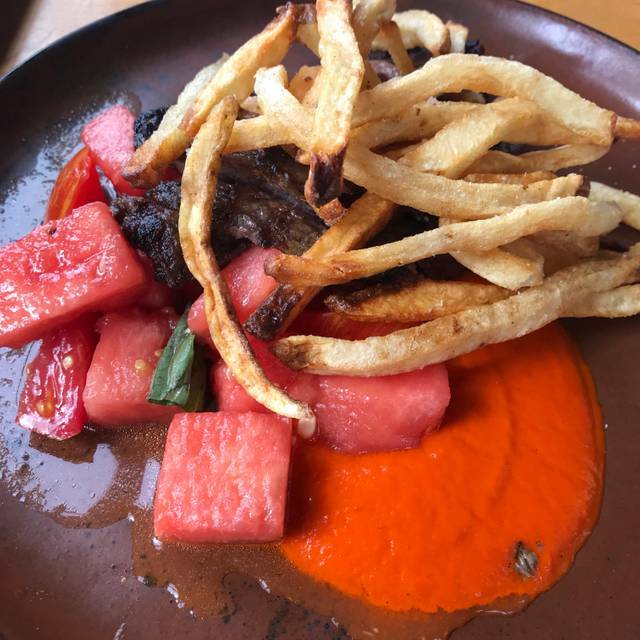 The restaurant sources its ingredients from the Pike Place farmers� market and is able to provide a vibrant and seasonally rotating menu as a result. 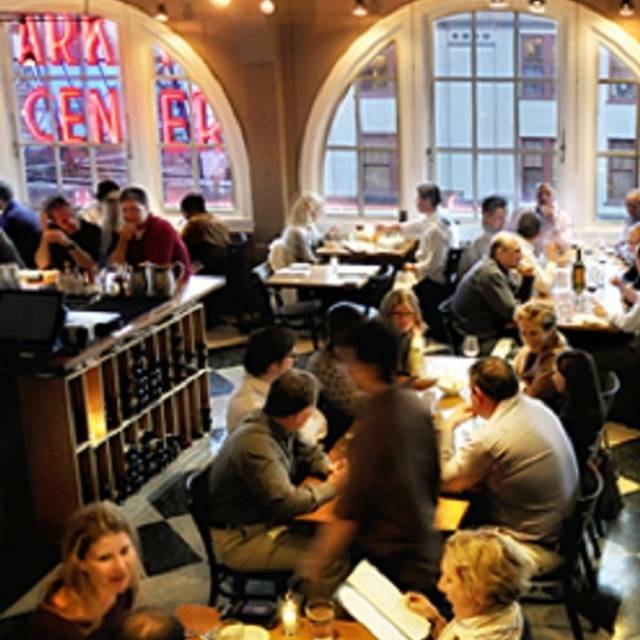 Matt�s in the Market has a full bar that includes an extensive wine selection. Start out your meal at Matt�s in the Market with the deviled eggs or another appetizer like the chips and hot bacon and caramelized onion dip. Choose from entr�es like the falafel or the market fish of the day. Top off your experience with a delicious dessert like the honey Trinity cream or the pumpkin pie bread pudding. 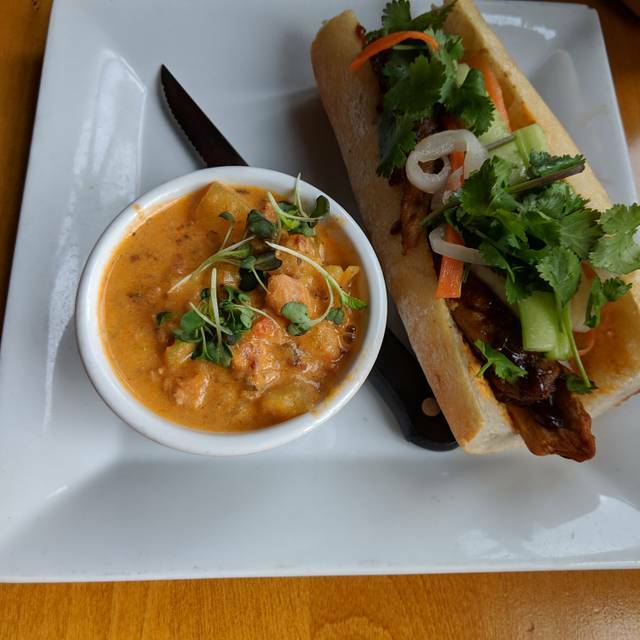 Pork Belly Confit "bánh Mì"
pickled daikon radish & carrot, fresno chilies, hoisin, cilantro, sambal mayonnaise, on baguette. Very enjoyable dinner with Matt as our server (not Matt the owner!). Food was excellent and fresh. Ambience was hip, easy-going. Ended up spending a fair amount, but worth it!! Perfect spot for a celebratory dinner. 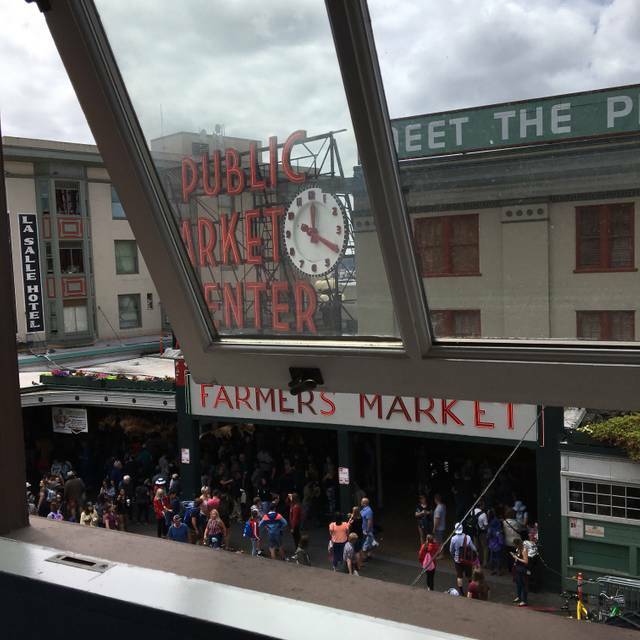 Great view of the Market; friendly staff; amazing food! Amazing chips and dip. Deviled eggs good too! Would love to get the recipes! The food was amazing and the service was fantastic. My husband took me to dinner for my 51st birthday. This is my favorite Seattle restaurant. It’s cozy, I love the food and the location. Great food. Peremptory and dismissive attitude of the person who seemed in charge of the restaurant and our waiter made it an underwhelming experience. Unfortunate since the food and wine were excellent and I would have enjoyed otherwise introducing my husband and other friends to the place. Would I recommend Matt's to a friend?----Maybe. The restaurant is well managed, in a great location, the staff was great and the wines are nice but we simply didn't like the food. The food at this lovely restaurant is prepared with a sweet note as apposed to a savory one. 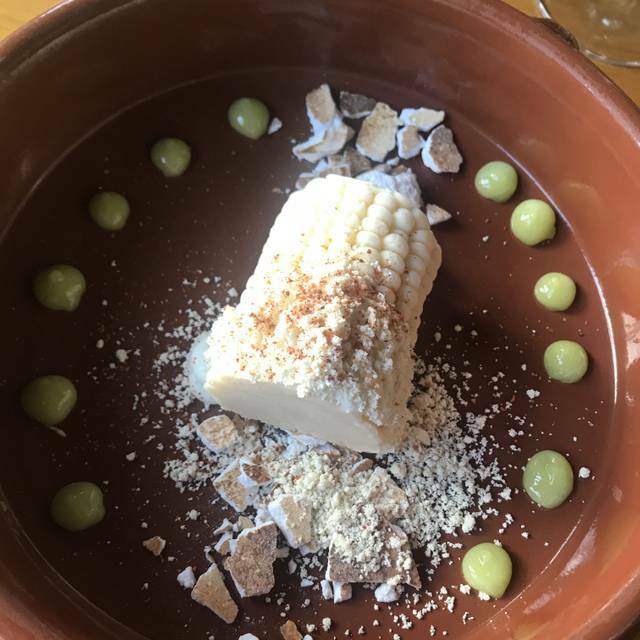 we started with the Hamachi Ceviche but found the dish to be so mild that it became a bit boring. Next we had the Salmon and the Halibut but both fishes were served in sauces that had a distinct sweet note that we didn't think paired nicely with the fish. Please do this restaurant. It is a great place in a perfect location and we will likely return but order different items. 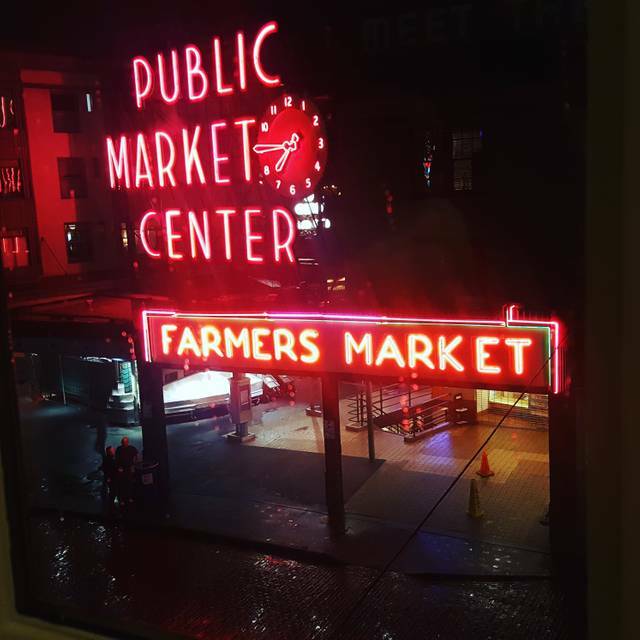 New to Seattle scene but found this gem of a place at the Pike Place Market district. Excellent food and service, albeit pricey. Highly recommend their beet salad, halibut, and orange glaze bread pudding. Great food and service. A great lunch spot. My salmon dish was average and my wife’s seafood stew was very good. Wine list was good but limited in selection. Overall a good experience. The food was excellent as was the service. Great place to take visitors. Wonderful atmosphere. Friendly staff and wonderful food! What a great restauarant! The location is great but the food knocked our socks off. We listened to the server’s suggestions and they did not disappoint! Would gladly return. Highly recommend. Service was awesome; food was very very good. A bit pricey but not a deterrent to coming back. Matt’s was fabulous wonderful setting and a amazing experience. We had the mussels and salmon an scallops. All the food was wonderful and the wine attendant was able to inform us a lot about the types of wines we typically drink. We came for our anniversary- def a great place to celebrate! Fun for a weekday lunch. Good food; friendly staff. Matt's was great. We went there for my girlfriends birthday and we had a wonderful meal. It did not hurt that it was in the mid seventies here in Seattle in the middle of March. Great food and a beautiful day to enjoy the food and the view. Amazing find! This place was recommended to us by a local winery employee. After a short wait we were seated next to the kitchen and enjoyed seeing chef and his team prepare some amazing entrees. We were thoroughly satisfied with ours when they arrived! Kudos to a top notch team for such great service! From start to finish it was awesome! We will be back for sure the next time we are in Seattle! We had an wonderful time. The host was able to seat us next to the window, the wait staff was great, and the food was incredible. We'll be back! Food was amazing, so happy with our waiter Jeremy. Great recommendations/suggestions, can’t wait to go back. food was sub par, especially the salmon that was from New Zealand of all places! The Fishwich on the lunch menu is AMAZING! We were in Seattle for a week and visited Matt’s 3x it was so good. My husband and I haven't been to Matt's for some years. So we were in Seattle and decided to have lunch. As in the past, it WOW'd us! The food, as always, was excellent. We love the fish sandwiches, that always have a delicious aioli and interesting toppings on great bread! The day was sunny and lovely and we had a window table - thank you, Matt's! Our wait-person, Ana, was amazing! She took care of our special requests, was superbly professional, and just darling. Can't wait to go back. This restaurant is my favorite in Seattle. I go there every time I'm in town and I have never been disappointed by the food, service, or atmosphere. Hands down, go! 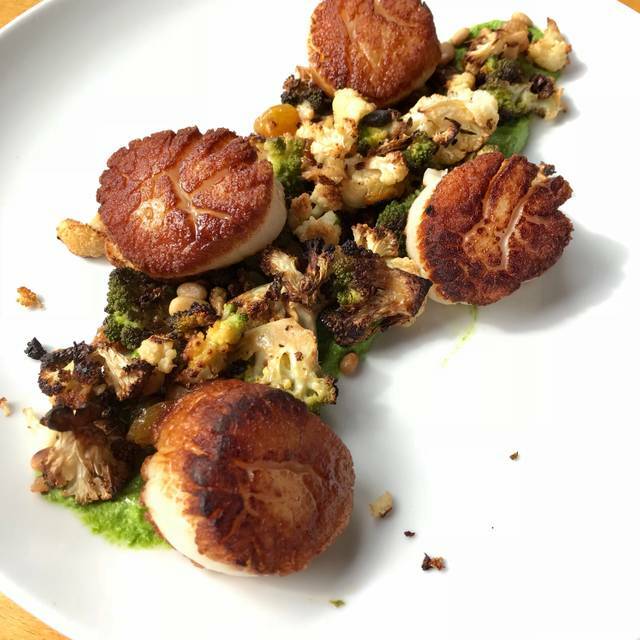 Matt’s is a favorite spot for intimate meals. 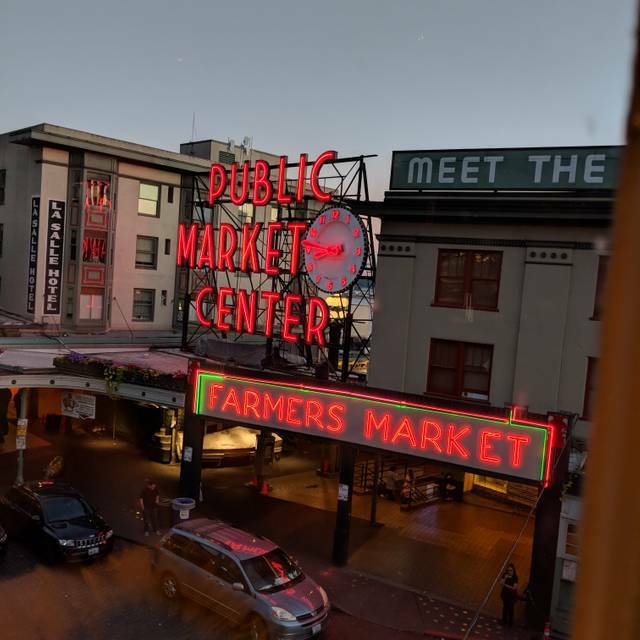 It’s location high above the entrance to Pike Place Market, with post card-worthy view of the famous clock and neon PPM sign, are second to the excellent service and high quality food experience. Always a hit with guests and colleagues, whether locals or visitors. The Rueben on crusty bread, cauliflower curry soup and oysters were all hits. Look forward to the next visit. This was my 4th or 5th visit. I always hit this up when in town on business and it never disappoints.